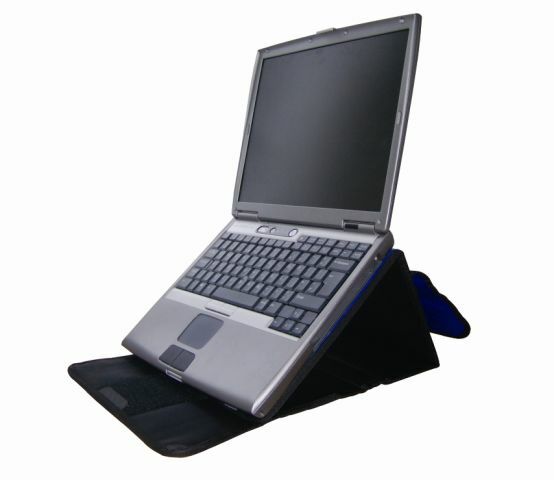 The Posture Pouch transforms in seconds from a protective laptop sleeve into a multi-angle ergonomic laptop stand. 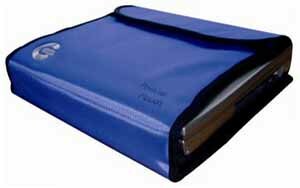 Padded nylon carrying case conveniently unfolds to support your laptop at a comfortable height for viewing. Lightweight for travel. Provides "always on" protection from scratches and damage during transit. Provides heat insulation and padding when when used on your lap. Open sides allow full access to laptop ports and drives. Variable angle settings from 20° to 43°. Important! 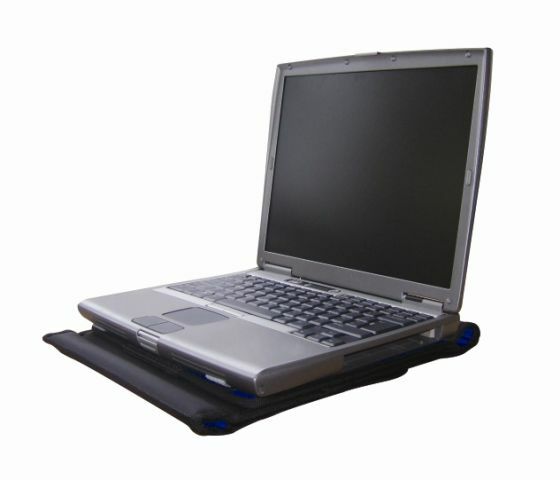 Laptop cover must open at least 115° to accommodate the Posture Pouch angle adjustment range. 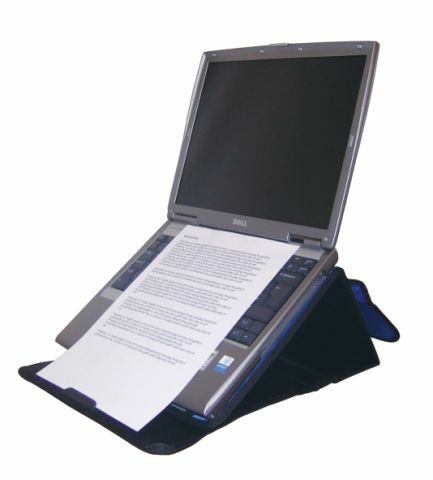 Incorporated document holder supports in-line placement of paperwork. Durable, water-resistant nylon construction with padded and rigid sections protects both you and your computer. Easy to set up with simple velcro C-Cure attachments to hold your computer in place. Checkpoint friendly. 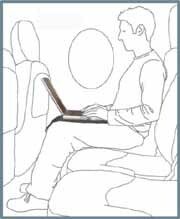 No need to remove the laptop from the Posture Pouch for X-Ray inspection at airports. Laptop size 14.1" - 15"
11.8" x 10.6" x 1&quot (300mm x 270mm x 25mm) when folded. 15" x 10.6" x 1&quot (380mm x 270mm x 25mm) when folded. 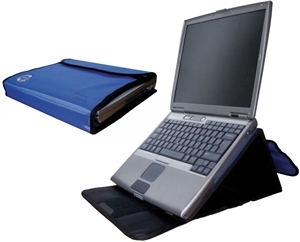 Posture Pouch transforms in seconds into an adjustable ergonomic laptop stand. 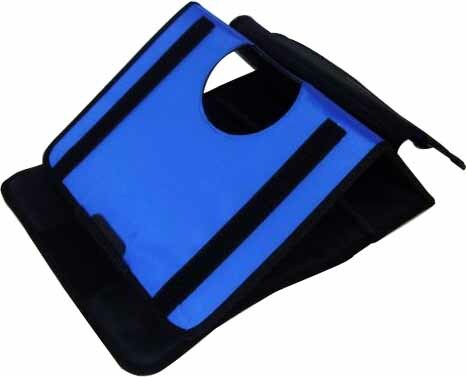 Padded Posture Pouch provides heat insulation and cushiioning when used on your lap. Posture Pouch shell provides "always on" protection from scratches and damage during transit.